Dr. Hite is involved with a non-profit organization called 'True Africa'. This organization sponsors Aids orphans in Uganda, Africa by helping them receive primary and secondary school educations. He hopes to be able to help expand their services by including eye care to those same children and their communities. He has volunteered on multiple trips in the United States which are underserviced in eyecare. Volunteering at these events assisted over 1000 people with their vision. Patients who otherwise would not be able to access care. 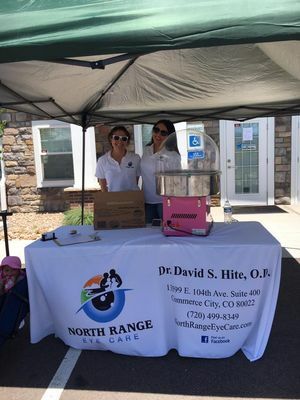 Dr. Hite is looking forward to finding new opportunities to serve his new community! 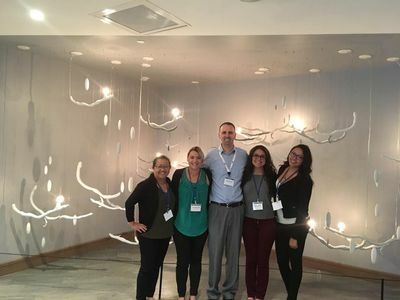 Dr Hite and our wonderful staff attending an all day continuing education conference at the tech center this weekend. 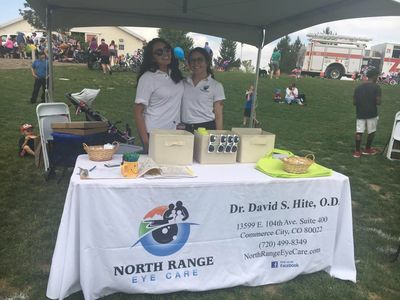 Dr Hite had 14 hours of education ranging from specialty contact lenses, advanced treatment of corneal irregularities like keratoconus, interpretation of retinal imaging that our office provides, and new options for treatment of glaucoma. Our staff had 8 hours of courses in triage of ocular emergencies, prescreening techniques, increasing office efficiencies, and patient interactions at all points of contact. We had fun and are committed to staying at our best for our patients!!! 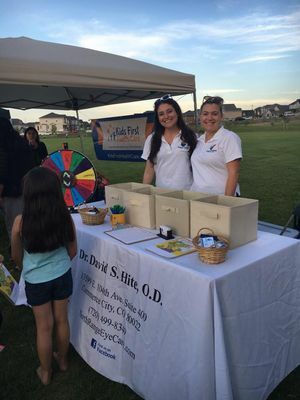 A great night at the Commerce City Outreach BBQ! Perfect weather and amazing turnout! This event is an opportunity for neighbors to come together and learn about different businesses and services offered in their area. What a great night for a movie night at Reunion Park!! 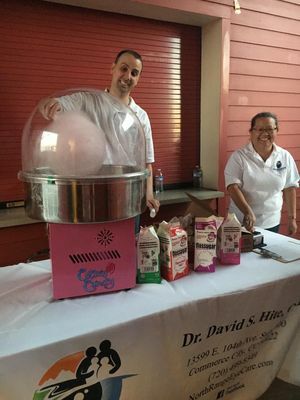 Dr. Hite and Pa were working hard to get cotton candy to everyone! We gave out over 250 free cotton candy cones while guests enjoyed the movie Moana. The businesses in the business park we are in came together to put on an event for our customers including a bouncy house, snow cones, cotton candy, and giveaways!! Perfect day for the Red, White, and Blue festival!! This annual event is in celebration of the 4th of July and has lots of fun attractions for locals to enjoy including games, a train, face painting, food trucks, and more! !